Americans seeking herbal medicines now face confusion and even danger. There is great potential for these medicines to improve the health of consumers--if current regulations can be revised! 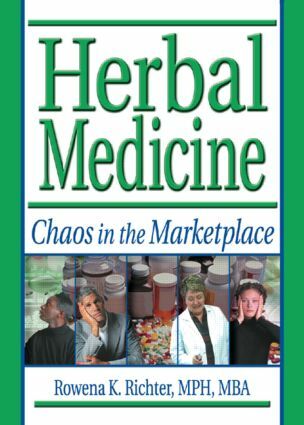 Herbal Medicine: Chaos in the Marketplace is a prize-winning critique of the regulation and business of herbal medicine in the United States. It is the first book that examines the big picture issues-it tells the story of how the present situation developed, looks at what it means for consumers, compares approaches taken in other industrialized countries, and recommends where we need to go from here. Convenient reference tables provide easy access to information. Concerns about herbal medicines are hitting the headlines regularly, yet no other book has examined the core issues in depth from a public health perspective. Herbal Medicine: Chaos in the Marketplace fills that gap. It is highly relevant today, and you’ll find it will continue to be indispensable reading for years to come as the situation plays out.